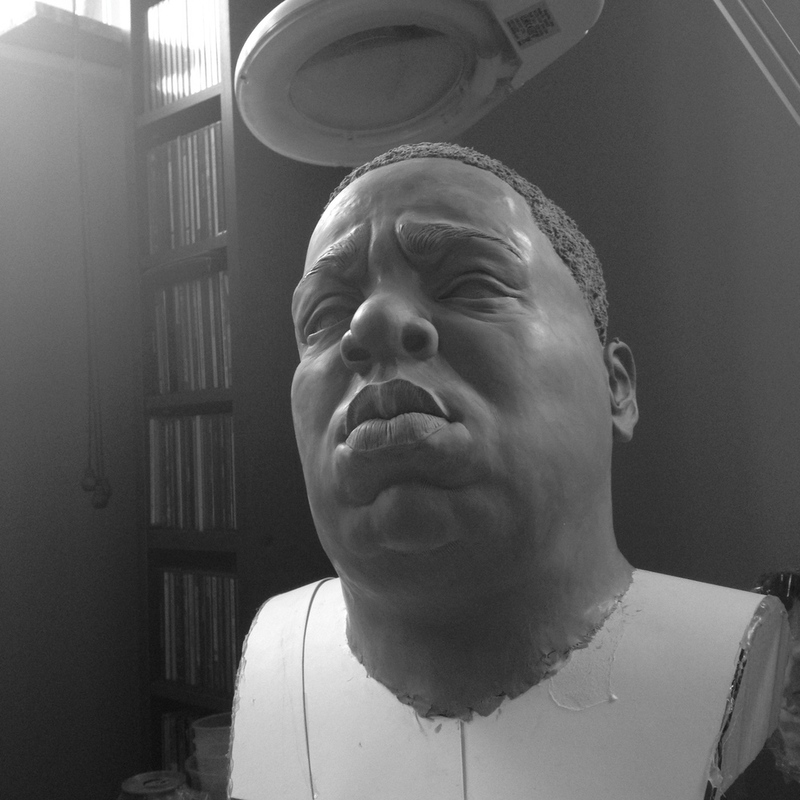 I was asked to sculpt a bust of the rapper Biggie Smalls. This had to be a realistic, almost classical bust, a little different to the character and caricature work that I have done in the past. 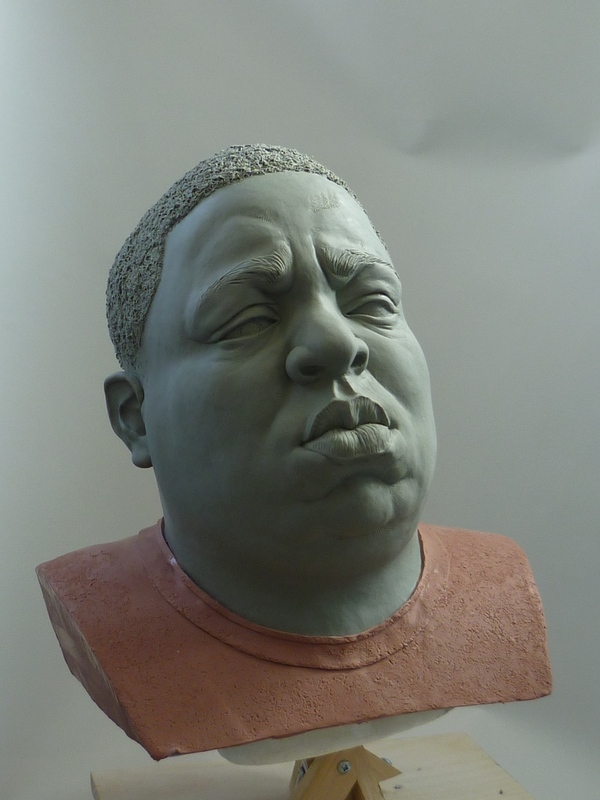 The client is the owner of a chain of Notorious BIG themed restaurants in Germany, if you can believe such a thing exists, and they were intended to be display pieces. I moulded the sculpture and cast out several fibreglass copies as the final finish had yet to be decided. 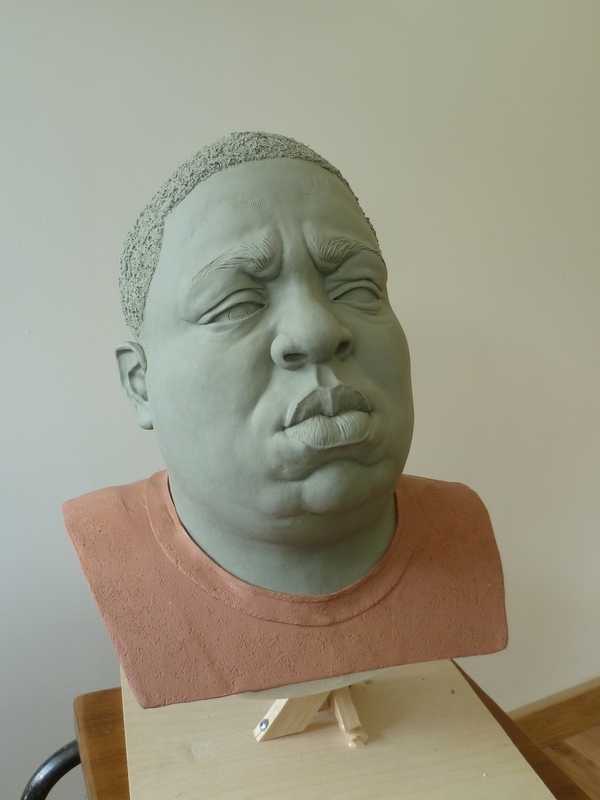 It had also not been decided whether he would be wearing sunglasses so, before sculpting, there was a quick online search to find an appropriate pair of Versace shades for Big Poppa. Copies of these sunglasses will be made and fixed to the the casts. The sculpt was then sprayed with a red primer prior to moulding as you can see in the final photo.